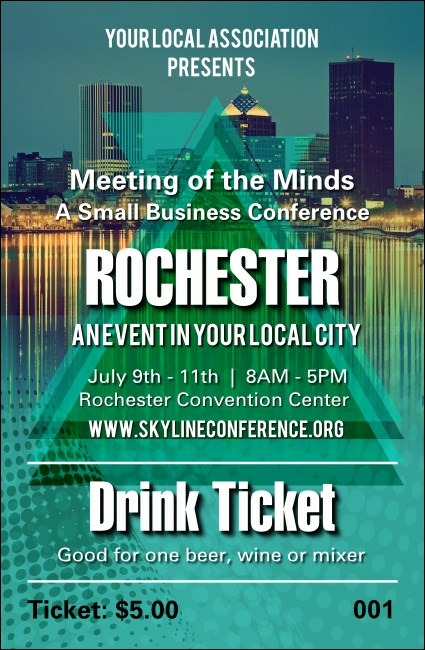 Let the drinks flow like the Genesee River at your event when you give your guests beautiful Rochester Drink Tickets. These colorful tickets feature a view of the Rochester skyline at night and include sequential numbering for easy event organization and twelve lines of text for all your local event details. Find the right ticket for Western New York at TicketPrinting.com.